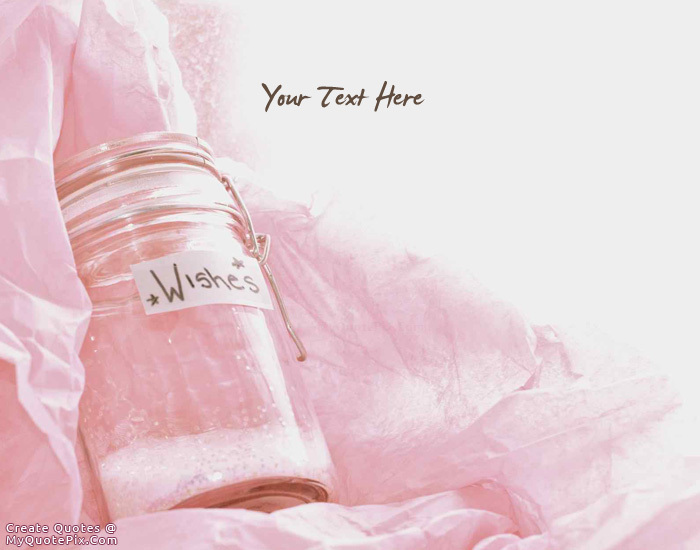 Write quotes, poetry, messages, stories, love letters, aspirations, notes or any other long text on My Wish Jar picture from the Wishes category by using this quote design maker. You can share this Wishes quote on your blog and social media. Share this quote design maker with your friends. I know God will not give me anything I can not handle. I just wish that He did not trust me so much.